How did Dean Ambrose get a measure of payback for Chris Jericho's destruction of Mitch the plant? How did Sami Zayn earn himself a shot at the Intercontinental Championship? Who picked up a surprise victory over Rusev with an assist from Kalisto? How did The Vaudevillains cost The New Day a match against The Dudley Boyz? How did Roman Reigns and AJ Styles bring their heated rivalry to the main event of SmackDown? How did Cesaro end up with The Miz's Intercontinental Title belt in his possession? How did Natalya send a message to Charlotte in tag team action? What happened when Big Cass confronted The Vaudevillains? How did Roman Reigns go to the extreme at the conclusion of RAW? Who won a battle royal to become the new #1 Contender for the United States Title? How did a #1 Contender's match end in controversy? How did Natalya get a measure of revenge against Charlotte and Ric Flair? Who will be competing for the WWE World Heavyweight Championship in three weeks at Extreme Rules? After the championship match was restarted twice, who walked out of Payback as the WWE World Heavyweight Champion? How did Kevin Owens make an emphatic statement in two different matches? Who did Mr. McMahon choose to be in control of RAW and how did it affect the main event? Which championships and grudges will be decided at the fourth annual Payback event this Sunday night? How did all hell break loose after a Champion vs. Champion match between Roman Reigns and The Miz? 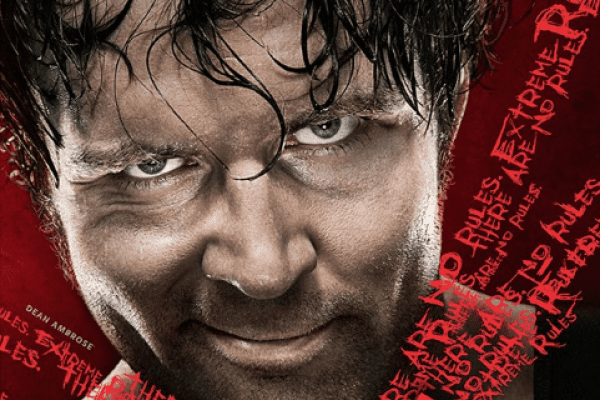 What happened when Natalya and Charlotte came face-to-face on The Ambrose Asylum? How did a bad night on RAW lead to the complete dissolution of an alliance on SmackDown? 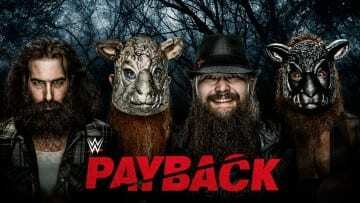 What big decision will Vince McMahon be making live at Payback? Who will challenge Kalisto for the United States Championship on the Payback Kickoff? How did Luke Gallows & Karl Anderson continue to cause problems for AJ Styles before Payback? Who returned to RAW and confronted Shane McMahon with a big announcement? How did Dolph Ziggler get a measure of revenge against Baron Corbin? How did Cesaro get the better of The Miz? How did the team of Chris Jericho and Kevin Owens fare against the team of Dean Ambrose and Sami Zayn? How did AJ Styles' win on SmackDown fuel the speculation of his alliance with Luke Gallows & Karl Anderson? How did Ryback get a measure of payback from WrestleMania? How did Chris Jericho get the last laugh over his opponent at Payback? Who did AJ Styles reunite with that led to a two-on-one beat down of Roman Reigns? Who advanced to the Finals of the #1 Contenders' Tag Team Tournament? How did SmackDown's main event devolve into a brawl among rivals? Which accomplished League of Nations member did AJ Styles go one-on-one with? Who advanced in the #1 Contenders' Tag Team Tournament? How did Dolph Ziggler save Zack Ryder from a familiar fate? Who will challenge for the WWE World Heavyweight Championship and the Intercontinental Championship respectively at Payback? Who did Roman Reigns form an uneasy alliance with to combat The League of Nations in the main event? Was AJ Styles able to ensure that his title match remained a one-on-one match? Which team made their much anticipated debut on RAW? Who became the new #1 Contender for the Intercontinental Title? How did Sami Zayn play a crucial role in the tag team main event? What tactics did The Miz and his wife Maryse use in Miz's rematch with Zack Ryder? What did Roman Reigns and AJ Styles have to say in their first face-to-face confrontation?